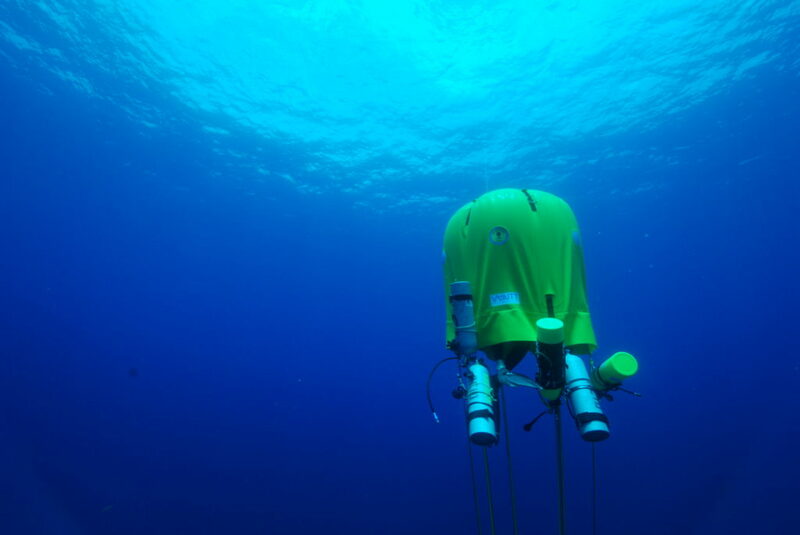 The History of Diving Museum‘s Feature Exhibit “Underwater Habitats: Man to Aquanaut and Beyond!” is on display through June 2018 and celebrates over 50 years of research and exploration using underwater habitats. 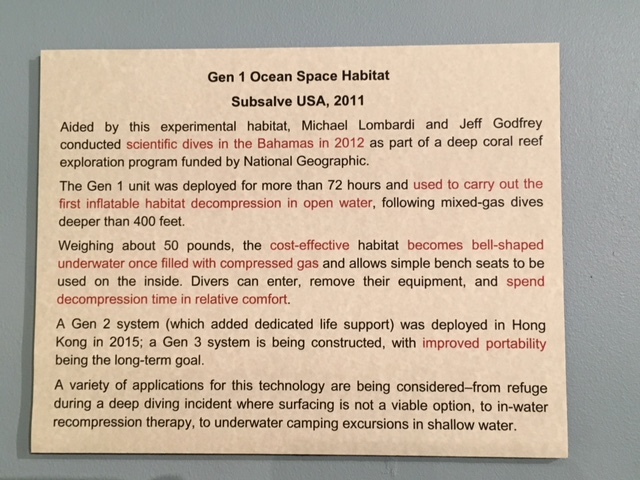 This feature exhibit included our Gen 1 Ocean Space Habitat, which was deployed in the Bahamas in 2011 as part of a National Geographic Society funded mesophotic exploration program that allowed divers Lombardi and Godfrey to experiment with techniques for lengthy decompression following scientific work within the mesophotic zone. Portable inflatable habitats provide humans an opportunity to make use of unproductive decompression time. Photo by M. Lombardi 2012.